You may have seen my recent post on my winter skincare routine, explaining the importance of taking make up off before bed. The same goes for taking it off before a workout. I know quite a few girls that wear a full face of make up with fake eyelashes etc to the gym, and even reapply before and after their workout. It may make you feel good. But is it good for your skin? Personally, I try not to wear make up at the gym, but sometimes my skin is already bad, so try and cover it up as I'm quite insecure about my skin when I break out. If my skin is okay, I don't mind going without. Either way my face turns bright red! In reality, applying makeup for the gym, or not taking it off, is a complete waste of make up, as you'll just sweat or wipe it off. Think about how much money you'd save if you didn't wear it at the gym! You need to make sure it's completely removed.. I know my gym towel is always orange by the end of the workout even if I've spent a couple minutes wiping as much off as possible! It really isn't good for your skin! Rather than clogging the pores as you sleep, a layer (or several) of make up clogs the pores and forces the skin to harness even more bacteria while you sweat. The bacteria from your skin, from your makeup, from your hands when you touch your face, those floating around in the air.. and then your sweat.. its a germ fest! As you workout, your pores that contain sweat glands become active as you start sweating. 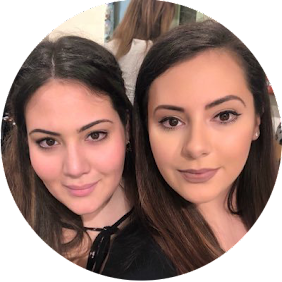 Wearing makeup forms a layer, almost like a plug which will stop the sweat from being expelled, but instead being blocked within the pore where the bacteria can be brewed, forming a spot. Now it's much easier to prevent spots than it is to get rid of them! 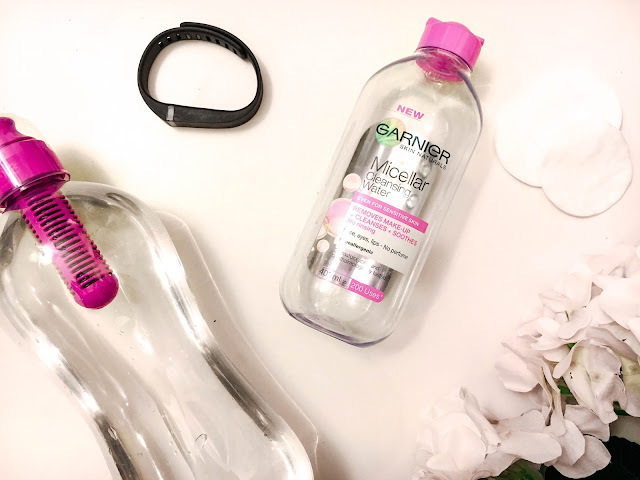 Garnier Micellar Cleansing Water is my makeup remover of choice. It just seems to effortlessly glide the makeup right off my face in one sweep! I've used it for a few months now and I will definitely be buying it again. It lasts for absolutely ages and gets about 99% of my foundation off, which is a damn sight better than most of the removers I've used. I can't recommend Micellar Water enough! If you start taking off your makeup before workouts or going to the gym, you'll see within a few days that your skin will really improve! Do you wear makeup at the gym? What are your thoughts on Micellar Water? I completely agree. I have never understood why people wear make up to the gym, but each to their own. You sweat out all the bad stuff when you are working out, but if you are wearing make up, that means your pores will become clogged. Which obviously isn't good for your skin. I just feel so greasy and gross if I wear any at the gym! nothing like a good cleanse before and after!